The summer time is near and what better way to celebrate the change of weather than with a vacation! I recently experienced The Bahamas Celebration on a two day cruise to Freeport, Bahamas where I stayed at the luxury resort, Grand Lucayan. The Bahamas Celebration is a great way to enjoy a short vacation with friends, family or your significant other. 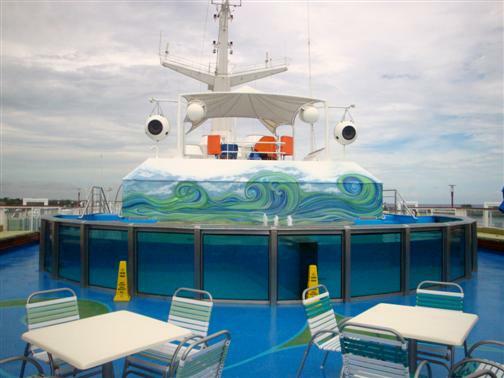 On the cruise is a casino, a spa and salon, fitness center, pool deck, kid club and adult lounges. Sounds like the perfect quick getaway doesn’t it? Luckily there’s more than just that. The Bahamas Celebration also has seven different restaurants and four of them are included in the cruise price. (The price does not include tax and tip.) 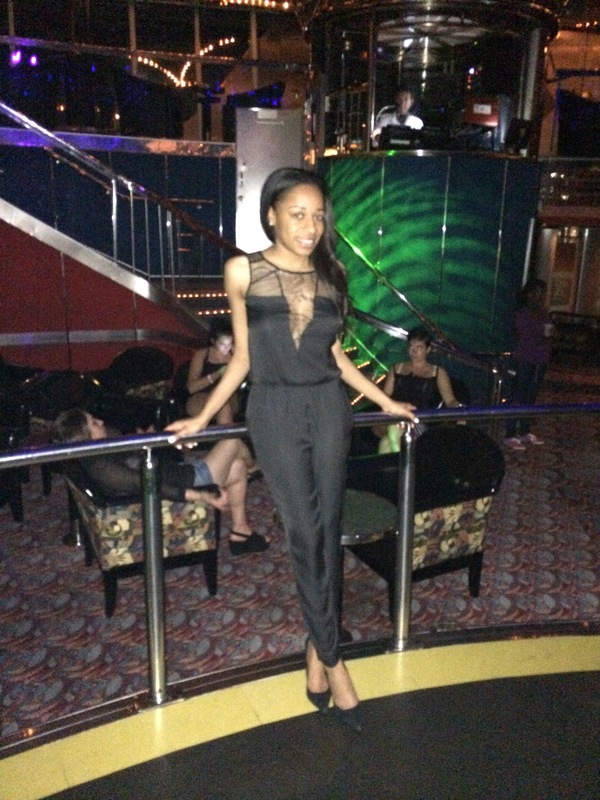 In my eyes, a cruise is only as good as it’s food and entertainment. That’s pretty much what I look to experience. I was actually very pleased with the food on the ship. My favorite dining experience was at The Rock Grill which I described thoroughly in a previous post. If you decide to vacation on the Bahamas Celebration, you absolutely want to try this restaurant. I would also suggest the Crystal Dining Room where I had the Pork, Sweet Potatoes and Green Beans which was delicious and The Bull where I had the South of the Border burger which was good as well. 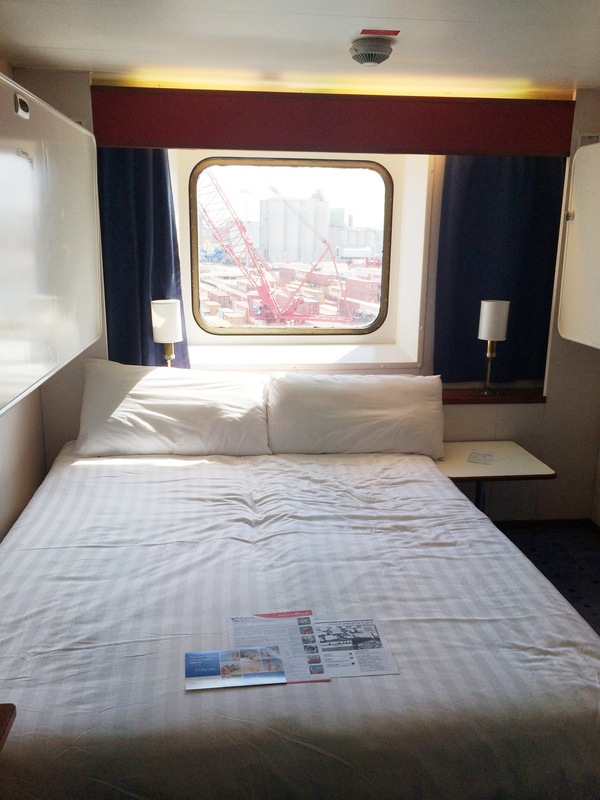 As far as the cabin accommodations, my room was very small but clean. I had an ocean view room which was perfect for two people. We really did not spend much time at all in the room, so the size of the room didn’t bother me at all. If you are looking to spend a decent amount of time in your room, you may want to opt for a bigger room accommodation. Now to the exciting part! I found an excellent deal for you for the Bahamas Celebration Cruise. How does $199 for a two night cruise for two on the Bahamas Celebration sounds? I think it’s excellent if you ask me. Click here: Bahamas Celebration Deal for further information! Please note that this does not include airfare and the Bahamas Celebration leaves from West Palm Beach, Florida. 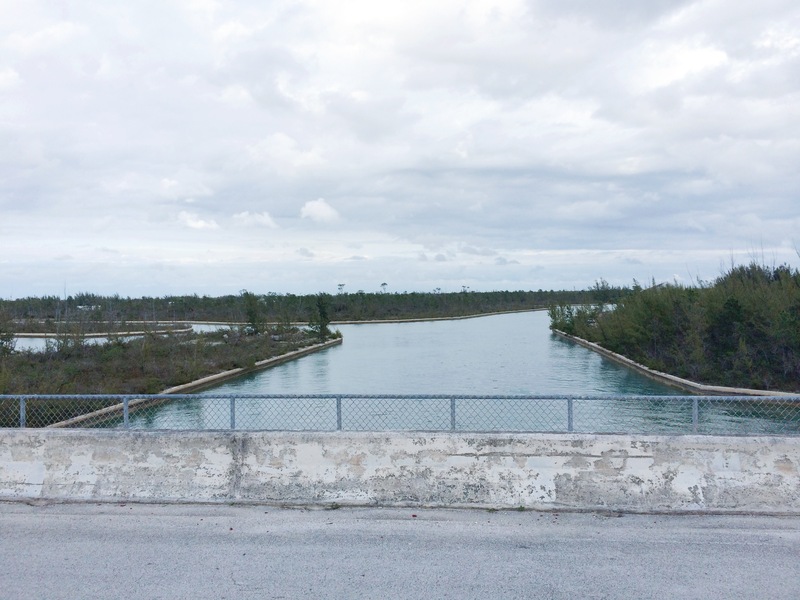 If I was asked to share my favorite part of my trip to the Bahamas, it would absolutely be my visit to the Casuarina Bridge. 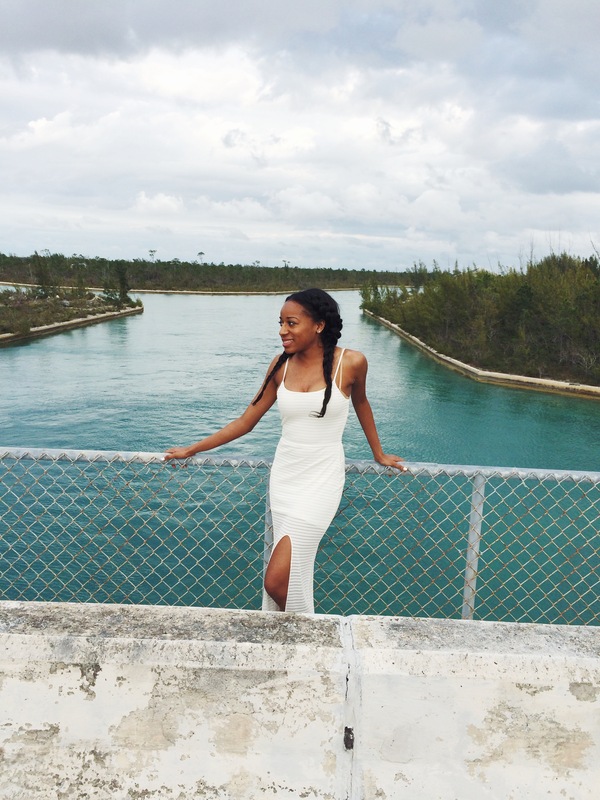 Casuarina Bridge is the islands largest bridge which stretches over the Grand Lucayan Waterway. When my friends and I pulled up to the middle of the highway, parked the car and got out, I had no idea what to expect. Well, I was completely blown away and in awe when I saw the scenery. It was beautiful! It just filled me with a feeling of peace and stillness. Living in New York City, there is rarely any peace and stillness anywhere so this was a perfect escape from what I’m accustomed to. After a while I sat alone and focused on appreciating life and thought about some of the things that were heavy on my mind. If you are visiting Freeport, Bahamas and need an escape to just relax for a moment, this is the perfect place. Also, it would be so romantic for a marriage proposal, a deep conversation or a soul searching private moment. Has anyone ever been to Casuarina Bridge? I would love to hear your view on your experience there. 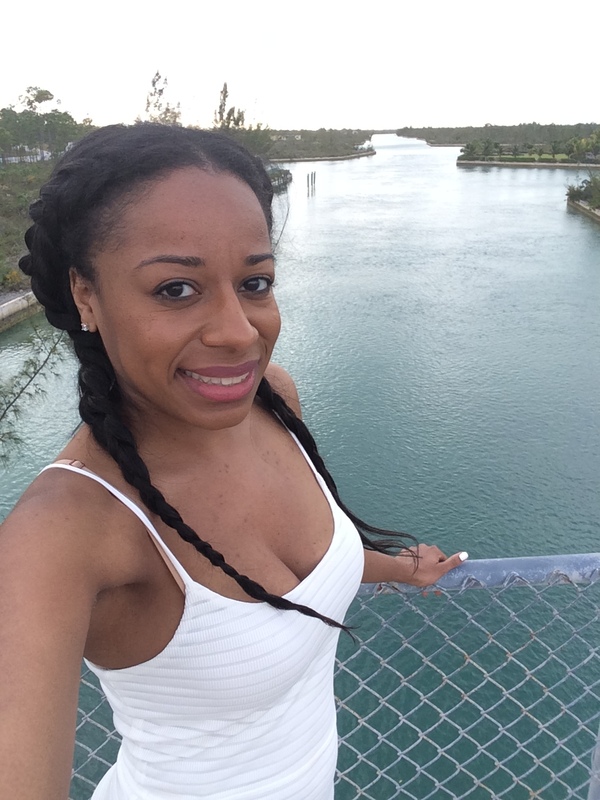 If you haven’t been, Casuarina Bridge is a must if you visit Freeport, Bahamas. We all need a getaway once in a while. A place to go to escape that never ending cycle of work, responsibilities, stress and even sometimes people. So if you fall into that category and find yourself desperately needing a fun yet peaceful vacation I would suggest visiting the Grand Lucayan in Freeport, Bahamas. 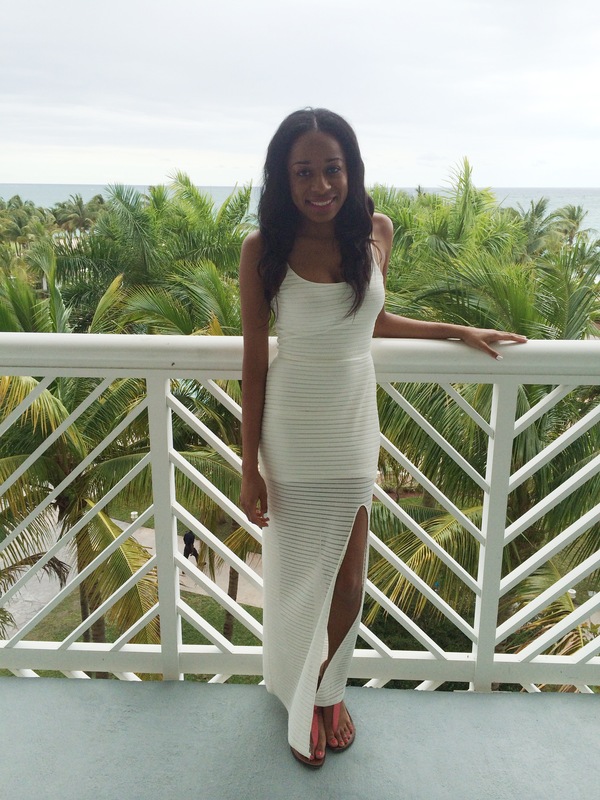 The Grand Lucayan is a resort that is literally all in one. This resort has an amazing beach, several pools that also include an in-pool bar, restaurants and other amenities such as tennis, golf and a Spa. As soon as I reached the resort, I checked my bags with the friendly staff and basically ran to the beach. The weather was gorgeous and just playing in the waves of the water relieved all stress and worries that I had. If you’re a person that loves being in the water like me, you’ll also enjoy the pools where they provide floats so you can lay back and let the pool carry you away. Besides the fun amenities, the Grand Lucayan also has beautiful and clean rooms. If you stay at the Grand Lucayan please stay in an ocean view room. Why? Because the ocean view will change your entire experience. I sat on the balcony/ patio every day by myself. It was the most relaxing and relieving feeling of my whole trip. Maybe because I’m really big on views or maybe because it’s just a great way to reflect and find peace. I also had a bird friend come join me, I guess he wanted in on the experience as well. The Grand Lucayan is also in a great location. Directly across the street from the resort is Port Lucaya. Port Lucaya is an outdoor center with shops great for buying gifts and souvenirs, restaurants that will provide you a delicious taste of the island and bars for nightly entertainment. In walking distance from the resort is also the Treasure Bay Casino which is open 24 hours. Sounds fun doesn’t it? Who wouldn’t want to spend their day at the beach, eat until their stomach is stuffed and then try their luck at the casino all in one day and in one location. I know I would, would you? The Rock Grill is exactly what the name states, a restaurant that uses an 800 degree rock as the cooking means for your delicious entree meats. What makes this Asian inspired restaurant so unique is that you cook your entree to your liking on your own personal Rock. What does that mean? It means that you choose two meats to cook yourself! Now there is one catch to this special restaurant, it isn’t your normal brick and mortar restaurant. The Rock Grill is located on the Bahamas Celebration cruise ship. In my opinion, it was the best restaurant on the cruise ship. For an additional $30 you choose an appetizer, two entree meats, two sides and dessert from the menu. I chose the Chicken Dim Sum, White Chicken, Colossal Shrimp, Bok Choy with Peppers and the Mandarin Cheesecake. I have to point out that the Colossal Shrimp are two pieces of the biggest shrimp that I’ve ever seen and the Mandarin Cheesecake was so perfect that I ordered two. 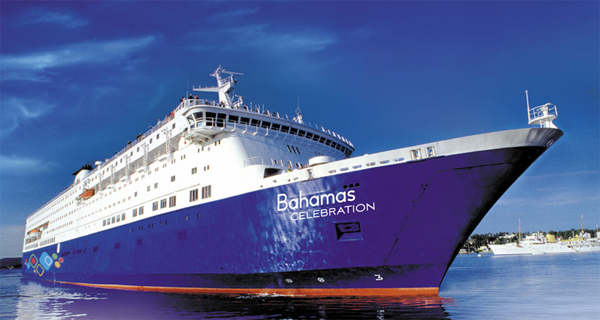 The Bahamas Celebration is a two night cruise that is great for couples, families and friends. Fortunately, if you are interested in experiencing this restaurant you would also be experiencing a fun two day vacation. If you are interested in this vacation, you can contact the Bahamas Celebration at 1 (800) 314-7735 or click Bahamas Celebration.